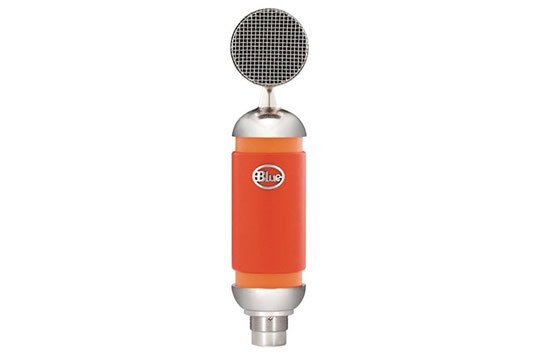 Blue's newest professional mic, Spark, is a cardioid, solid-state condenser microphone designed to help you achieve professional quality recordings in any creative environment. Spark features a custom-designed condenser capsule with Class-A discrete electronics resulting in superbly detailed and uncolored output, making it the ideal microphone for recording vocals, drums, guitars, pianos, brass, woodwinds, and just about anything else you can light a fire under. A new feature found only on the Spark microphone is the unique Focus Control, providing two different usage modes at the push of a button: the Normal mode (out position) providing increased low frequency sensitivity for recordings with great impact and definition, along with the Focus mode, (in position) for even greater clarity and detail. The Spark microphone ships with a custom-designed pop-filter and shockmount as well as a convenient and stylish wood case for transport. With Spark, you've got everything you need to make professional recordings, all in one package.